They sound great, even if they didn't turn out quite as you expected the first time... I definitely would love to eat a homemade Clif bar with fewer ingredients and more of the good stuff rather than one full of preservatives and such... Thanks for sharing this recipe! You are welcome! They really were great, and surprisingly easy and very similar to the taste of the Clif Bar - I am super happy I finally tried this recipe! 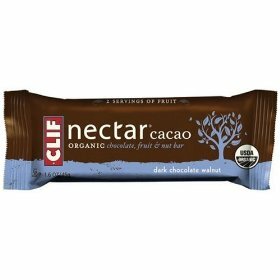 Why does Clif Bar discontinue bars like that? They had a maple bar once at Whole Foods - this was a few months ago - but we haven't found it since then. And it was really good! 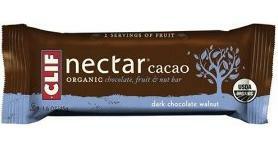 I never tried the walnut nectar bar, but I'm glad you found a recipe for it! Great recipe! To get rid of the crumble, try adding a teaspoon of coconut oil or some hemp oil. The hemp oil has a nutty flavor and will blend with the ingredients, it will make it stick plus its high in Omega's! Hope this helps! What a great idea - thank you!